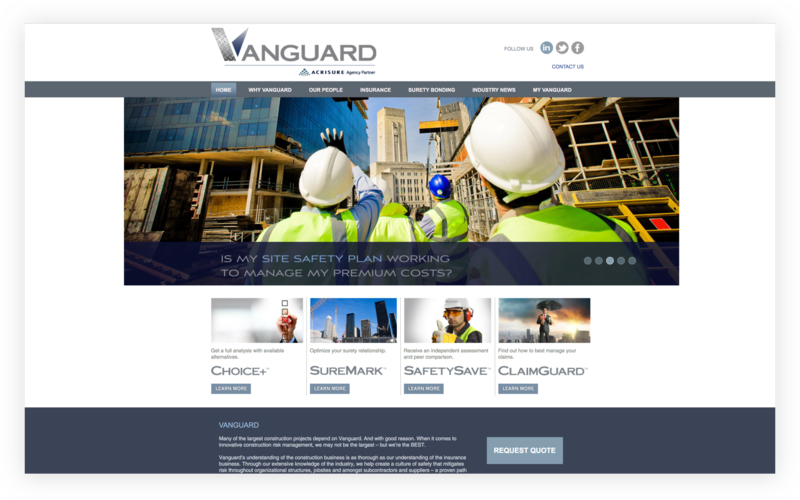 Vanguard Coverage was a growing player in insurance and surety bonding in the robust New York Metro construction trades marketplace. Linx was retained to help leverage its focus on construction and its considerable know-how into a leadership position. 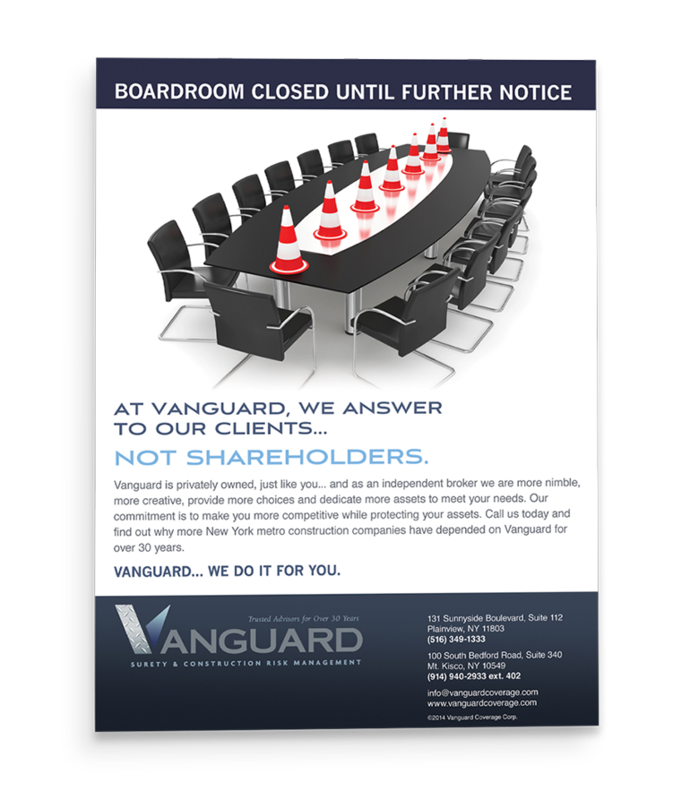 Although there was an acute need for the company to refine its identity as an underpinning to this leadership position, there were also differentiators that Vanguard delivered to the marketplace that needed to be communicated properly. Linx developed a new logo and positioning line for the company that formed the structural core to clearly define and communicate the value propositions that make Vanguard the leader in the marketplace. We also developed three branded services that explained the unique value propositions succinctly, wrapped around dramatic branding that also leveraged the company’s new identity, and showcased them in a new website, new advertising and new e-mail blasts to the trade. In this way Linx helped Vanguard both differentiate itself, create barriers to competitors and strengthen the strong leadership position. Linx worked with Vanguard to develop a series of "branded services" to differentiate their offerings and promote their most popular services. Linx designed collateral materials to be used in securing more distributors and expanding location reach. Today, the company is at full capacity, rapidly adding on professionals to handle the additional business. The company is being recognized for fostering innovative concepts in a typically staid marketplace through the value illustrated by these branded services and their presentation in the marketplace. A client for almost 20 years, Kaufman Dolowich Voluck was ready to take the next step in its evolution. WinTrillions.com, the world’s #1 online lottery service, was looking for an innovative approach to generate awareness and build sales.